We constantly get positive feedback from our loyal customers about how much they love our discount offers and promotions. As a result, we came up with a special way to show some love and appreciation for their support. Now you can all enjoy an entire day of extra savings with Ink Fridays™ - our little way to say Thanks! Starting at 12:00 AM PST every Friday, we are having a special 24 hour offer on any of our products; could be compatible ink or toner cartridges for any of the top brands. So mark your calendar and be sure to take full advantage of this amazing, one day offer that could translate into major savings for your home or business. We have a new offer each Friday. 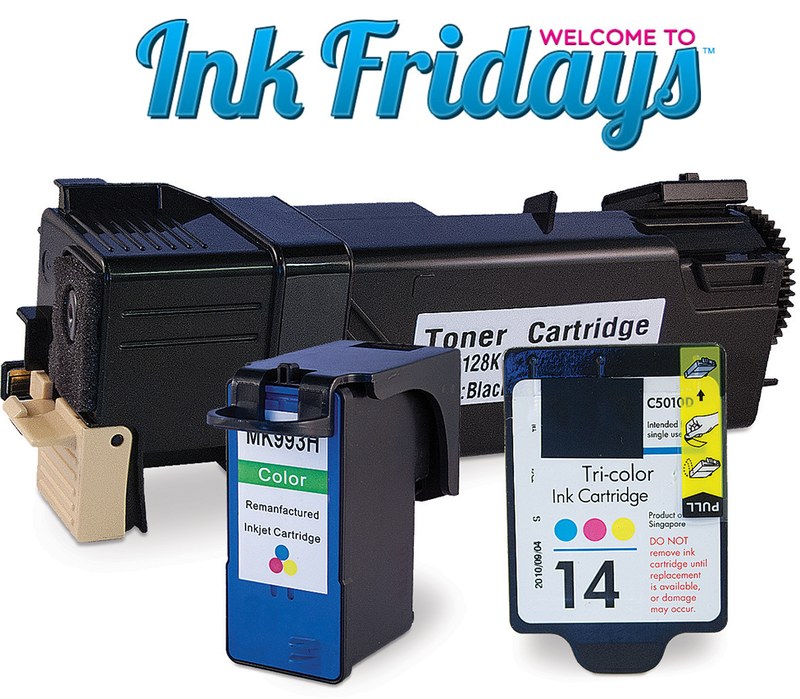 If you never want to miss another Ink Fridays™ offer, all you have to do is sign up for our special Ink Fridays™ newsletter and we’ll ensure that you're informed of the offer by Friday at 10:00 AM (PST). This way you never miss your TGIF moment at CompAndSave.com! For even more ways to save on printer supplies and accessories, like us on Facebook, sign up to our promotional newsletters and stay connected!